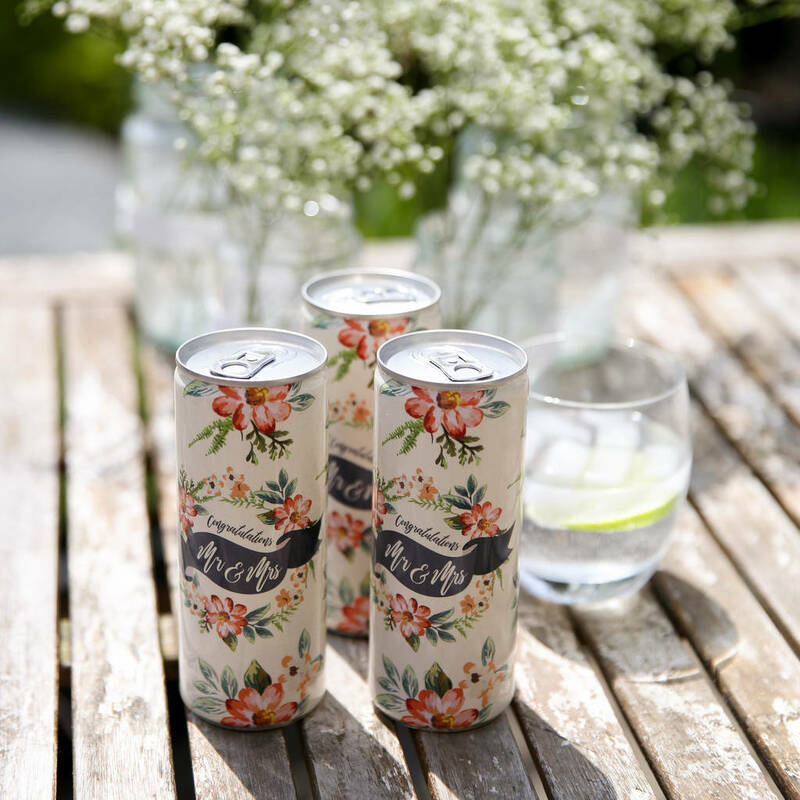 Say Congratulations on a wonderful Wedding with a trio of refreshing Gin and Tonics. A perfect way to toast the happy couple in style on their Wedding Day! 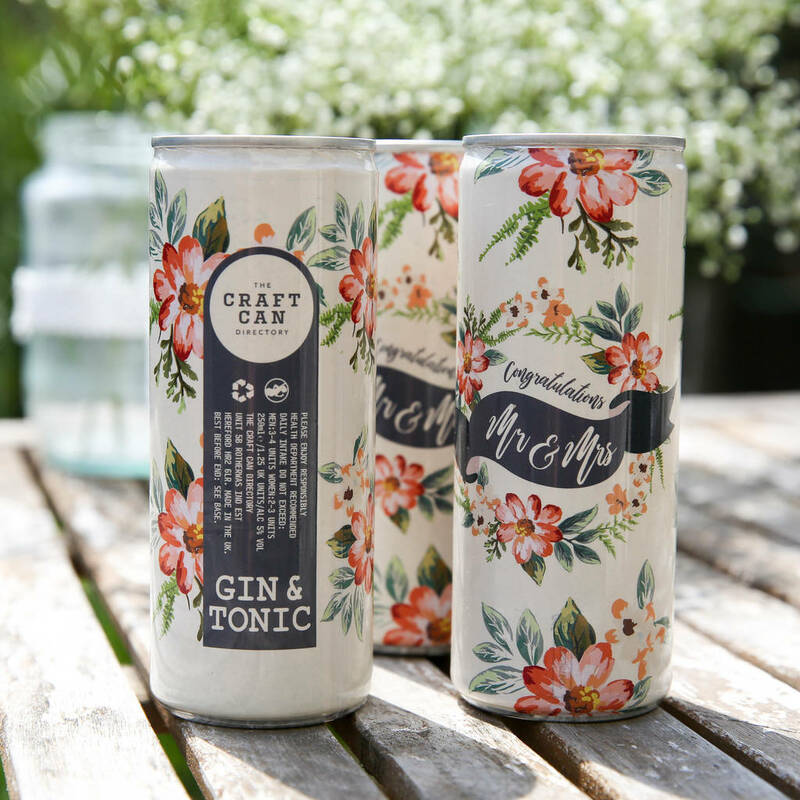 Irresistibly charming, these cans of G&T make a refreshing change for a unique and quirky gift. 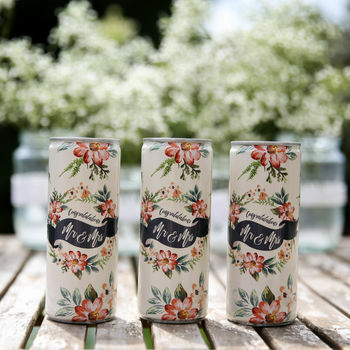 Or perhaps it's you getting married and you'd like to use these on your wedding day as gifts, favours or welcome drinks. This beautiful gift can also be enjoyed once the big day is over, keeping those special moments fizzing a little longer. This product is dispatched to you by The Craft Can Directory.